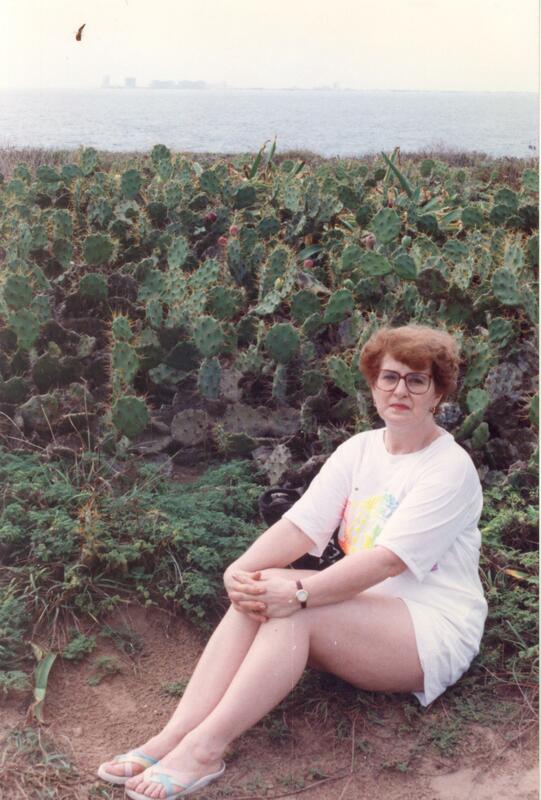 I had travelled to Mexico once before, in 1990, and couldn’t wait to show my mom around the Yucatan and explore it more in depth. She had never really travelled much, outside Saskatchewan and BC, and this would be an experience that would really open her eyes to a very different culture and level of economic prosperity. I was very excited to show her around, as I had done lots of research, and had stayed in a few of the budget accommodations we were booked in. I had everything planned: our itinerary, where we would stay, what tours and events we could see, and some optional side trips. We started in Cancun. I had already been in Mexico for a couple of months, flying in to Mexico city, travelling south into Oaxaca, then east to the Yucatan, my favorite part of Mexico. I met mom at the airport and took her by taxi to our hotel, Hotel Maria de Lourdes. Although the room was so-so, we both loved the outdoor pool and dining area. 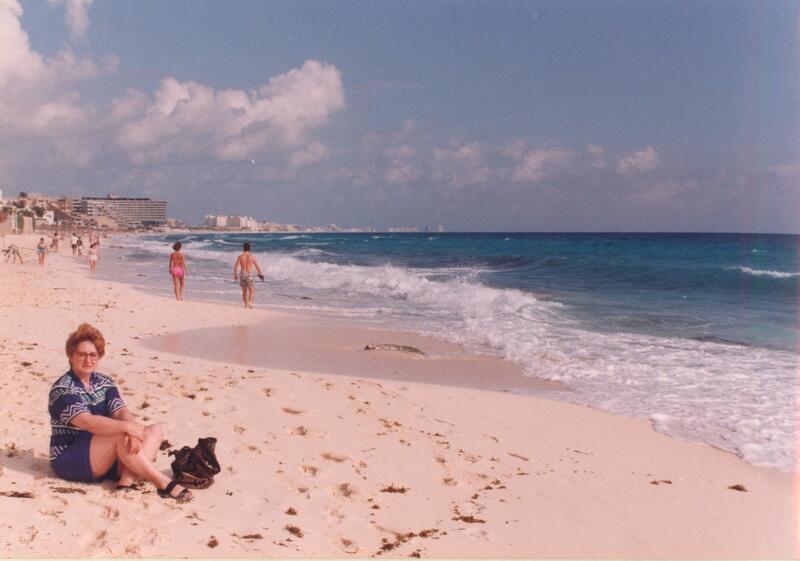 It was the perfect base from which we explored Cancun. First stop, the famously awesome turquoise waters and white sandy beaches of Cancun.